Jap.158 "The Secret of Pegasus! The Handsome Guardian of the Dream World"
Rini begins to wish that she could be grown up. She walks past a couple contest similar to the one held in Episode 90 of Sailor Moon S and spies Serena and Darien kissing which further drives her passion to grow up. Later while doing her homework she decides to go for a walk. Serena follows her. After they leave a gust of wind blows the pages of her notebook, revealing a sketch of Pegasus. In the park, Para Para is putting on a Punch and Judy show for a huge crowd of people involving a pegasus and an evil witch. As she finishes the audience tells her that they didn't lik the story. Para Para responds by removing all of their Dream Mirrors at once! Unfortunately for her, none of the mirrors are the Golden Mirror she's looking for. 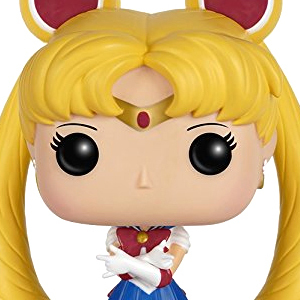 Super Sailor Moon and Mini Moon arrive and threaten to stop Para Para as the Dream Mirrors slowly return to their owners who run away screaming. As usual though, Mini Moon and Moon begin fighting, this time over how the other has it easy being their respective age. Para Para becomes inspired by this argument and uses her magic to reverse their ages making Mini Moon and adult and Moon a child! 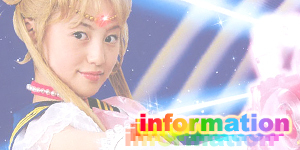 Super Sailor Mini Moon tries to summon Pegasus with Crystal Twinkle Bell but Pegasus doesn't appear. 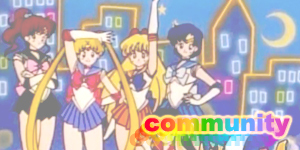 Para Para sends her magical puppets at the two Sailor Scouts but luckily Sailor Mars, Mercury, Jupiter and Venus arrive and scare Para Para off. The girls are all shocked at Moon and Mini Moon's reversed ages. That night, Serena and Rini sleep at Darien's place. Darien is very shocked. As the two get ready for bed, Rini looks at her body in the mirror and wonders what Pegasus will think when he sees her like this. Later on while Serena sleeps she tries to talk to Pegasus but he doesn't appear. Rini goes to bed and immediately starts dreaming a very similar dream to the one she had in the first episode of Sailor Moon SuperS though this time she is in her adult form and the Moon in the sky is a blood red colour. Rini reaches a crystal forest and sees horses. She reaches out to touch one but it suddenly crumbles and dies. Rini becomes terrified. Magically, Pegasus appears before her. Pegasus tells her that he couldn't see the light of her dream. Rini reaches out to touch him but then pulls back, remembering what happened to the other horse. Pegasus walks up to her though and nuzzles her. Rini is relieved. Behind Pegasus she sees a bright light. Pegasus tells her that's the world of dreams, Elysion. Rini says that she would love to see it. Pegasus tells her to get on his back. She does so and they fly to the light. When the light clears, Rini is horrified to see a devastated crystal forest. Pegasus explains that the circus tent of the Dead Moon came to Elysion and destroyed during their quest for the Golden Crystal. He goes on to tell Rini that while he had been captured by Queen Nehelenia he had seen the bright light of Rini's dreams and was given the power to transform into Pegasus and fly into her dreams. He then tells Rini that because she wished to be grown up, her dreams became impure and he is no longer to hide in them. Rini apologises for being selfish and wishes to be young again. She runs towards Pegasus and suddenly the Moon becomes white again and she reverts to her child form. Pegasus walks towards her and transforms into his human form and kisses her. He tells her his real name is Helios. Rini then wakes up in her bed as herself next to Serena who has also reverted back to her normal self. Rini looks out of the window and hears Para Para attacking again. 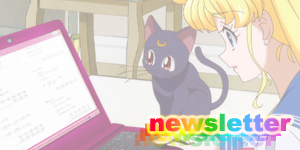 Super Sailor Moon, Mini Moon and the others confront Para Para just as she had once again removed a whole group of Dream Mirrors from targets. Para Para summons the Lemres, Kenny Doll Miss Pero Pero who takes the form of a cute bunny though quickly changes to an evil face. Sailor Jupiter attacks with Jupiter Oak Evolution but they causes the Lemres to multiply. 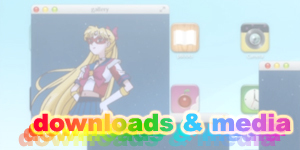 Sailor Venus tries Venus Love and Beauty Shock but that also doesn't work. Sailor Mars' Mars Flame Sniper is equally ineffective. Sailor Mercury attacks with Aqua Rhapsody which manages to freeze the enemy! The Lemres quickly breaks free though and merges together to form an adult rabbit Lemres. Tuxedo Mask arrives and stops it with a rose attack. 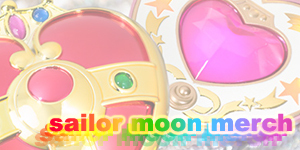 Sailor Mini Moon summons Pegasus with Crystal Twinkle Bell which works! Sailor Moon then finishes off the Lemres with Moon Gorgeous Meditation. Para Para teleports away as all the girls look at Pegasus flying above them. 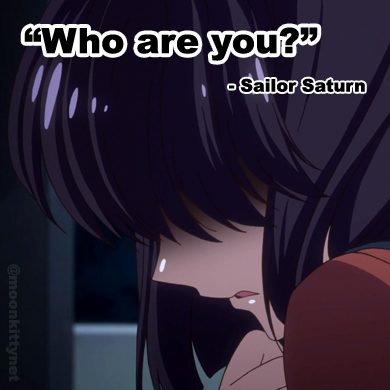 Sailor Mini Moon wonders if the dream and the kiss was real or just a dream. This Lemres, Kenny Doll Miss Pero Pero had four forms, the cute rabbit ball, the evil rabbit ball, the numerous small ball forms and the adult rabbit form. Obviously a reference to Rini and Serena's (who's Japanese names are both "Usagi" which means "Rabbit") aging conundrum. Almost all the attacks seemed to fail against her though Super Sailor Mercury's Aqua Rhapsody managed to freeze her for a while. 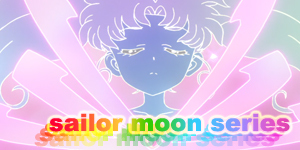 Eventually she was killed by Super Sailor Moon's Moon Gorgeous Meditation. This episode gave us our first look at Helios' human form and was the first time we had heard his true name. 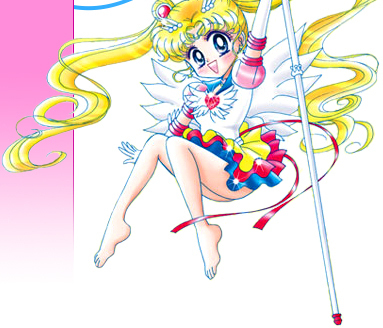 The age reversing of Super Sailor Mini Moon and Moon in this episode was based on a Sailor Moon manga short story though the age reversing was the only real connection between both versions. 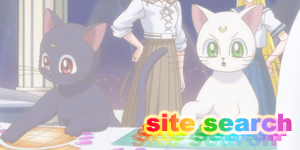 The name, Elysion was said for the first time in this episode. During the pre-credit scene, the Japanese banner above the stage reads "Nice Couple Contest" (the English words in Japanese writing).